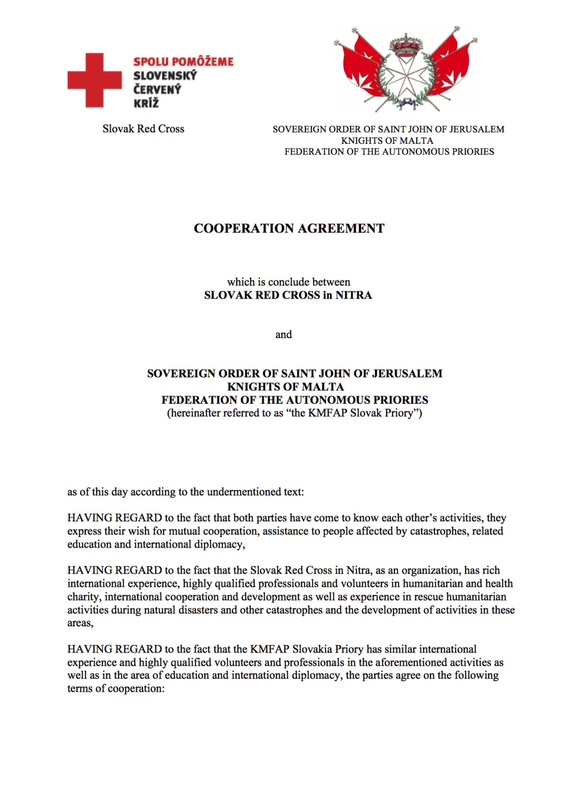 On the 18th January 2013 the Slovak Red Cross in Nitra (represented by Mgr. 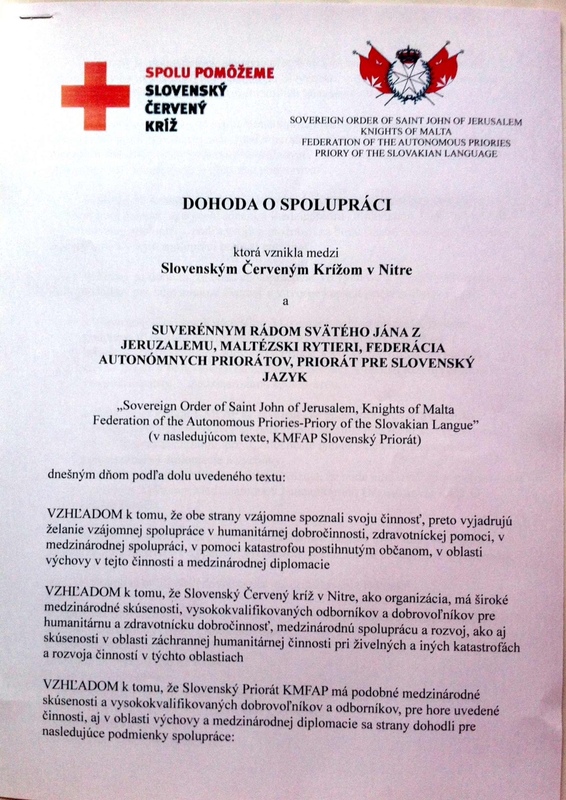 Viera Kazimírová – regional director) and the Slovakian Priory of the Sovereign Order of Saint John of Jerusalem, Knights of Malta, Federation of the Autonomous Priories – KMFAP (represented by Sir Dr. Alexander Czellárik – Prior) signed a cooperation agreement with the aim to have a joint professional collaboration and more intense human connection between the two parties and their excellent, skilled working staff so to contribute to a more efficient assistance to those in need. 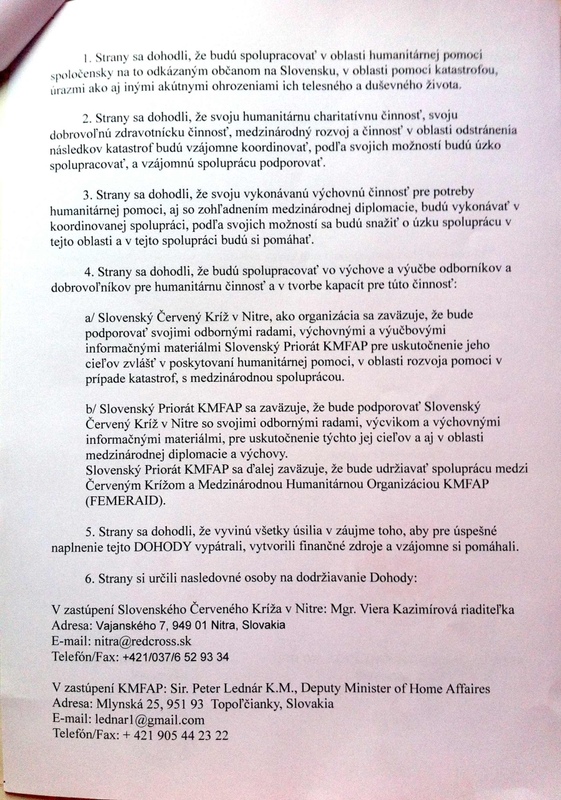 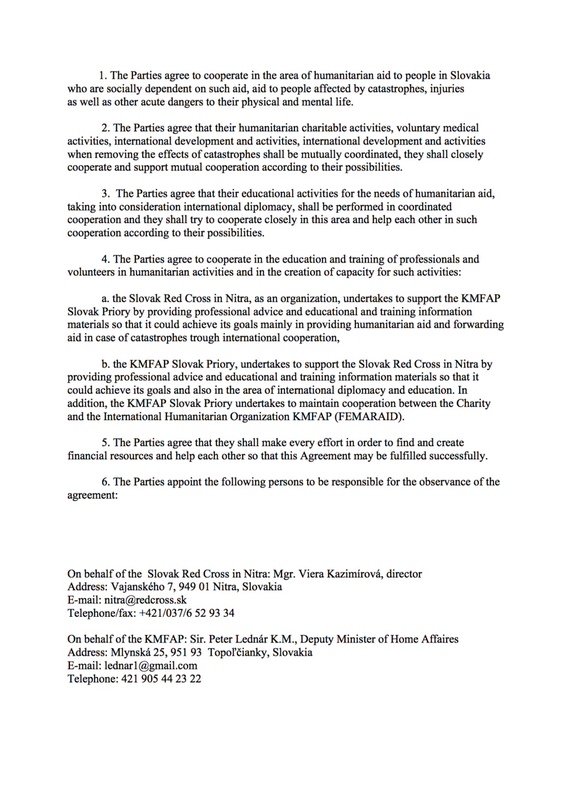 The agreement was initiated by Sir Peter Lednár, Deputy Minister of Interior of the Knights of Malta (KMFAP), who has already organised two blood donation campaign in 2012 in the city of Zlaté Moravce (Slovakia), under the auspices of Red Cross and KMFAP.